Compact yet powerful, the VX 690 is designed to improve usability and comfort, while enhancing the POS experience. Built on the VX Evolution platform, the VX 690 offers super-fast transactions, large touchscreen display, and built-in GPS for tracking transactions. 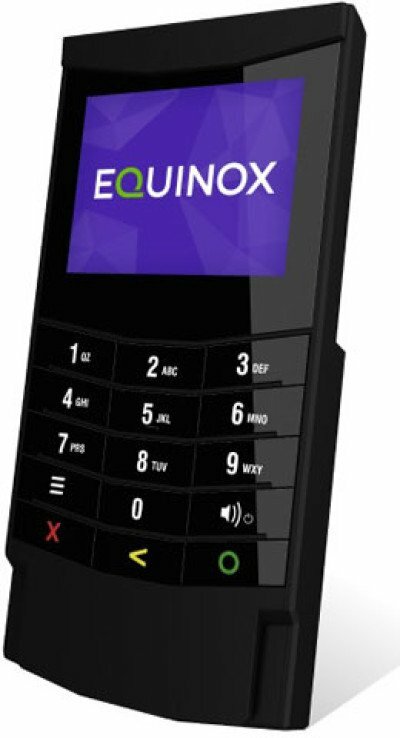 The sleek and elegant D220 comes with state-of-the-art technology never seen before in mobile payment devices, including wireless power charging, 4-inch full-body dynamic colour touch screen and longer lasting battery. Certified to the latest PCI 4.x SRED standards, and offering 4G, 3G, Wi-Fi and Bluetooth connectivity, the NFC contactless enabled D220 brings the payment experience for merchants and cardholders alike to a whole new level. The new, lightweight S920 model is designed for the hospitality and restaurant industry, offering portability and ease for merchant staff and customers alike thanks to a high-resolution large color touch screen. Our high-end featured S920 delivers faster and easier transactions with exceptional coverage and performance. A920 is the world's first tablet mobile terminal, a fashionable and compact payment device powered by the Android operating platform. The A920 comes with a large high definition tablet color display and a super fast thermal printer that is neatly hidden below so as to maximize screen usage for customer facing transactions. A wide range of advanced connectivity options are supported, as well as inbuilt NFC contactless, electronic signature capture and massive amounts of memory to enable exceptionally fast processing of applications. From its unique form and modular structure, to the carefully selected materials and detailed craftsmanship, Luxe 6000m was built to last. It was designed to resist wear and damage in the most demanding environments. All while remaining aesthetically pleasing and easy to use. Comes in two options either a fixed or mobile solution. UIC has introduced UIC680 which has become industry"s benchmarking product for contactless payment terminal. The UIC680 easily integrates into existing applications. With the growth of contactless payments and transactions, it provides an economical upgrade path for existing systems. Service stations and parking lots are incorporating the UIC680 into unattended kiosks for users to pay their transactions with a contactless card. The EPP810 is vandal resistant and fully water proof conforming to IK09 & IP65 standards respectively. Since it operates both indoors and outdoors, it operating temperature varies from -20 C to 65 C. The EPP810 supports both RS-232 & USB interfaces using 1 connector only. It is rugged and durable and conforms to Federal Communications Commission and European Conformity Class A standards.